The House of Representatives on Thursday passed H. R. 910th, the Energy Tax Prevention Act, by a vote of 255 to 172. Nineteen Democrats voted Yes. No Republicans voted No. This is a remarkable turnaround from the last Congress, when on 26th June 2009 the House voted 219 to 212 to pass the Waxman-Markey cap-and-trade bill. The Energy Tax Prevention Act, sponsored by Rep. Fred. Upton (R-Mich.), Chairman of the Energy and Commerce Committee, would prohibit the Environmental Protection Agency from using the Clean Air Act to regulate greenhouse gas emissions and thereby put a potentially huge indirect tax on American consumers and businesses. Coal, oil, and natural gas produce carbon dioxide, the principal greenhouse gas, when burned. Those three fuels provide over 80% of the energy used in America. Thus regulating carbon dioxide emissions essentially puts the EPA in charge of running the U. S. economy. Five Republicans who voted for the Waxman-Markey bill in 2009 voted for H. R. 910 yesterday. They are: Mary Bono Mack of California, Chris Smith, Leonard Lance, and Frank Lobiondo of New Jersey, and Dave Reichert of Washington. The nineteen Democrats who voted for the Upton bill are: Terri Sewell of Alabama, Mike Ross of Arkansas, Jim Costa of California, John Barrow and Sanford Bishop of Georgia, Jerry Costello of Illinois, Joe Donnelly of Indiana, Leonard Boswell of Iowa, Ben Chandler of Kentucky, Collin Peterson of Minnesota, Mike McIntyre of North Carolina, Dan Boren of Oklahoma, Kurt Schrader of Oregon, Tim Holden, Mark Critz, and Jason Altmire of Pennsylvania, Henry Cuellar of Texas, Jim Matheson of Utah, and Nick Joe Rahall of West Virginia. A Congressional district map of the vote published by the New York Times shows that support for EPA regulation of greenhouse gas emissions is largely confined to the Northeast and the West Coast. This is not surprising. California, New York, and the New England States already have high electric rates, partly because of state energy-rationing policies, and have driven most energy-intensive manufacturing industries out of their States already. I wasn’t able to watch all the debate Wednesday on the House floor on C-Span—one reason was that the Senate was debating the McConnell amendment at the same time—but what I saw confirmed that nearly all the arguments being raised by Democrats against blocking Clean Air Act greenhouse gas regulations are irrelevant, silly, dishonest, or ill-informed. Take for example, Rep. Jay Inslee’s typically buffoonish speech: “We should oppose this dirty air act because it would suggest that we are a nation in a deep and dangerous sleep, dozing in the face of disastrous pollution, slumbering while our children are riddled with asthma.” Ah, yes, childhood asthma—the last refuge of the global warming alarmists. As recent research has shown, one of the reasons that asthma rates are going up in the U. S. seems to be that modern urban and suburban middle class homes don’t expose young children to enough dirt and germs. Inslee and all the others who peddle the asthma scare, such as the truly scurrilous American Lung Association, might also consider that asthma attacks are much more frequent in cold than in hot weather. 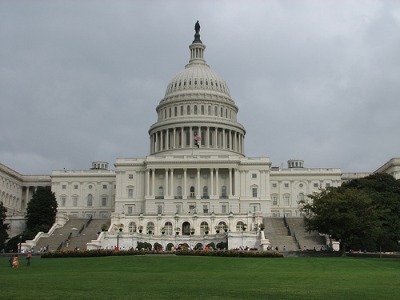 The Senate on Wednesday defeated an attempt by Minority Leader Mitch McConnell (R-Ky.) to add the Energy Tax Prevention Act (introduced in the Senate by Senator James M. Inhofe as S. 482) to another bill, S. 493. Senator McConnell’s amendment was defeated on a 50-50 vote. It would have required 60 votes to attach it to S. 493. Four Democrats joined 46 Republicans in voting for the amendment–Senators Joe Manchin of West Virginia, Mary Landrieu of Louisiana, Ben Nelson of Nebraska, and Mark Pryor of Arkansas. Senator Susan Collins of Maine was the only Republican to vote No. Collins’s vote is puzzling in that last year she voted for the resolution of disapproval brought under the Congressional Review Act that would have cancelled the EPA’s finding that greenhouse gas emissions endanger public health and welfare. The Endangerment Finding is the basis of using the Clean Air Act to regulate greenhouse gas emissions. Like the House debate, the opponents of the Energy Tax Prevention Act in the Senate were a sad lot. Particularly embarrassing was Senator Barbara Boxer (D-Calif.), the Chairman of the Environment and Public Works Committee: she thought it was a telling argument that the Clean Air Act had passed the Senate in 1970 by a vote of 73 to 0 and the House by 375 to 1 and had been signed into law by President Richard Nixon. (Rep. Glenn Cunningham of Nebraska was the one No vote, by the way.) Boxer’s point actually favors the opponents of using the Clean Air Act to regulate greenhouse gas emissions. The fact that the Clean Air Act enjoyed such overwhelming support in 1970 is because it was aimed at reducing air pollution and had nothing to do with global warming policies designed to ration energy. The strong House vote of 255 to 172 in favor of the Energy Tax Prevention Act should build new momentum to pass it in the Senate later this year. Of course, the White House has already issued a veto threat, which shows that President Obama is not interested in creating new jobs and restoring prosperity to America. Congress has now rejected cap-and-tax resoundingly, but the President still hopes to achieve through backdoor regulation his goals of skyrocketing electric rates and gasoline prices at the $10 a gallon European level.